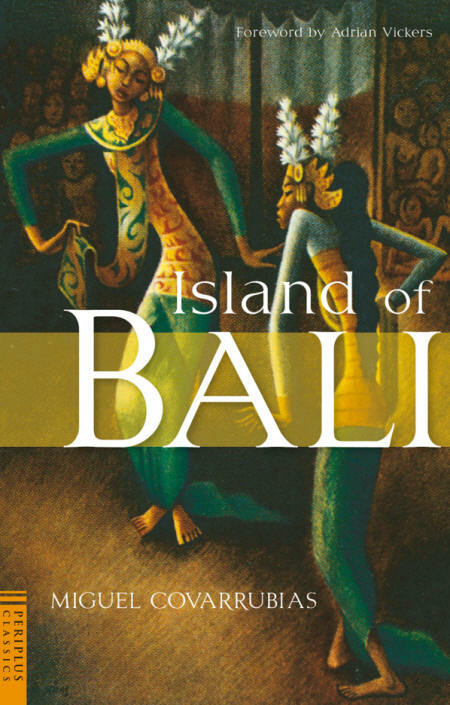 We have been commissioned to sell two important Bali paintings by Miguel Covarrubias. Both works have a unique provenance directly to the artist and have never been on the market before. Gerik Schjelderup was born in Dresden on the 27th November, 1899. Gerhard Schjelderup, his Norwegian father, was an eminent opera composer and his German mother, a renowned concert hall singer. With such a background, it is hardly surprising that Gerik was drawn to the stage. However, he was torn between a life on the stage and a career as a painter. On leaving school in Oslo at the age of nineteen, he overcame his dilemma by training as a scene painter at the National Theatre. He also turned his hand to etching and his work caught the attention of another graphic artist, Edvard Munch, at an exhibition in Oslo. In 1919, he moved to Munich where he studied for four years. The German Expressionists were at the height of their powers and the fact that they were very much influenced by Munch must have created considerable interest among Gerik’s circle of friends. He moved to London in 1926 and it was there that he developed his associations with Ireland and with Irish art. 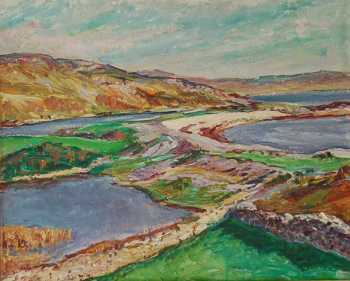 In 1927, he staged a one man show at the Waddington Gallery in Dublin. Through his theatre connections, he met the Irish actress, Natalie Moya, and they married in 1928. Her startling good looks are portrayed by Gerik in a number of etchings he did of her about this time. She had the benefit of a classical training and one of her first roles was in ‘A Midsummer's Night Dream’ in April 1921 at the Shakespeare Memorial Theatre in Stratford. In the year after their marriage, Natalie secured a role in Sydney, Australia. Gerik travelled with her and took the opportunity to visit the South Seas where he painted studies of native families, village life and exotic landscapes. He exhibited his work to much acclaim at one man shows in Melbourne and Sydney in 1930. He returned briefly to Oslo and renewed his friendship with Munch. He staged an exhibition of his work there before returning to London for a one man show at the Cooling Gallery in 1931. For the next thirty years, to supplement his income, he worked as a scene painter, lecturer, broadcaster, author and actor. He played a number of roles on stage and television and played alongside Alec Guinness and Maureen O’Hara as Svenson in ‘Our Man in Havana’. We offer a fully comprehensive service for European buyers in the United States and for American buyers in Europe.